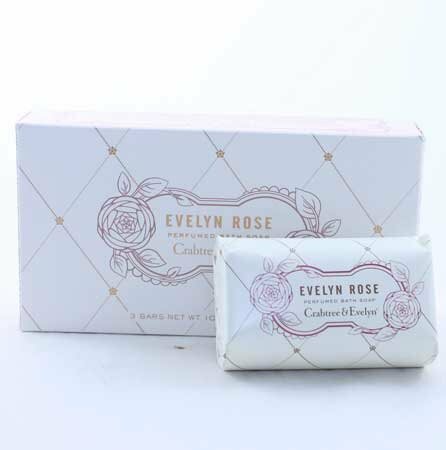 Perfumed bath soap with the scent of the beautiful Evelyn Rose, a unique flower bred for Crabtree & Evelyn. This fragrance blends the Evelyn Rose petals with peach nectar, jasmine, and violet with notes of bergamot and amber. 3 bars, 3.5 oz. each. By Crabtree and Evelyn.